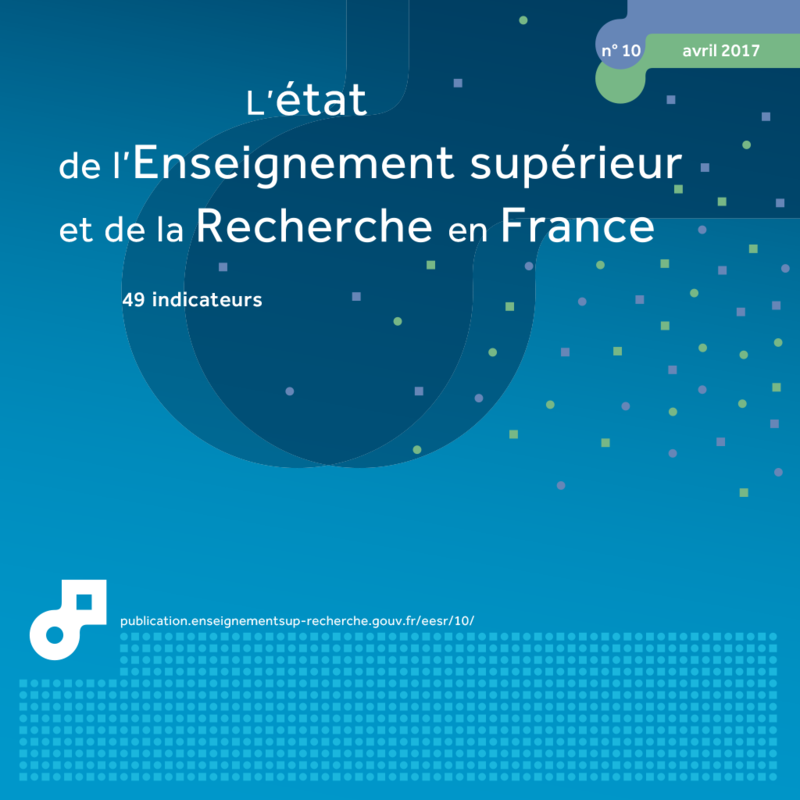 The results presented here come from the seventh survey on occupational integration of university graduates, carried out by the French Ministry of Education, Higher Education and Research (MENESR) and the French public universities in mainland France and the overseas departments (with the exception of Paris-Dauphine). This survey of 100,000 young people who graduated in 2013 with a Master’s degree, vocational Bachelor degree or a DUT qualification relates to their situation with respect to the labour market eighteen and thirty months after leaving university. The information was collected by the universities as part of a charter aiming to guarantee comparability of results between institutions. The Ministry was responsible for coordinating the work and using the survey data. The scope of interrogation covers graduates of French nationality, who have left initial education and have not continued or resumed their studies within two years of graduating. The graduates meeting these conditions represent respectively 38%, 45%, 51% and 9% of all Master's (excluding Teaching Master), Teaching Master’s, vocational Bachelor degree and DUT graduates. The salaries shown correspond to the median values for full-time employment and relate to the net monthly salary, including bonuses. Master’s marked using the LMD (Bachelor’s-Master’s-Doctorate) convention are non-Teaching Master’s. The results obtained by this source cannot be compared directly with those obtained by the Céreq Generation 2010 survey, as the population was not the same in terms of nationality or date of graduation. Around 9 out of 10 students who graduated with Master's degrees, vocational Bachelor's degrees (LP) and University technology diplomas (DUT) in 2013 were in employment in December 2014, some 30 months after leaving university. After 18 months, the integration process was already well advanced. Over 85% of LMD Master's graduates were in employment. However, the employment conditions differ according to the subject studied. Among university graduates in 2013 who entered the workforce, the employment rate eighteen months after leaving university reached 81% for DUT qualifications, 85% for those in a disciplinary Master’s programme and 88% for vocational Bachelor degree graduates (chart 22.01a). The employment rate at thirty months after graduating was slightly higher than the previous year for the disciplinary Master's, teaching Master’s (+1 point) and DUT (+2 points) graduates. It remained stable for the vocational Bachelor degree graduates (92%). A large majority of graduates are in stable employment 2 thirty months after leaving university, with significant differences depending on the qualification: 78% for vocational Bachelor degree graduates, 73% for Master's graduates and 69% for DUT graduates (chart 22.02a). For all qualifications, the jobs occupied are very largely full time (over 90%). The jobs obtained are of a good level: 85% managers or intermediate professions for Master's graduates, 71% for vocational Bachelor's degree graduates and 57% for DUT graduates (chart 22.02a). The median net monthly salary of graduates in full-time employment increased from 5% to 7% between eighteen and thirty months after graduation (table 22.03). At thirty months, it reached €1,900 for Master's graduates. Salaries are much lower for vocational Bachelor degree graduates (€1,600) and DUT graduates (€1,500). All are stable compared with the salaries of the 2012 graduates. Six out of ten Master's graduates work in a private company, two in the public sector and one in an association (chart 22.04a). The share of recruitment in the private sector is higher for the DUT (79%) and vocational Bachelor degree (85%) graduates. 'Master of Education' courses designed to prepare students for the competitive entrance examinations for entering the teaching profession have very specific occupational integration, with an employment rate of 97% and good employment conditions after 18 months. They mainly work in the public sector (92%) but their salaries are lower than for other Master's graduates. For the same qualification, the employment rate varies slightly per field of education. In particular, more than 90% of disciplinary Master's graduates in Law, Economics and Management (LEM) and Science, Technology and Healthcare (STH) are in employment thirty months after graduating, compared with graduates in Human and Social Sciences (HSS) (86%) and Humanities, Languages and Arts (HLA) (87%) (chart 22.01b). Similarly, as in previous years, LEM and STH graduates enjoy more favourable employment conditions than their HSS and HLA counterparts (chart 22.02b). They often obtain more stable, full-time contracts, and their net median monthly salaries are 20% higher. Nine out of ten STS graduates obtain managerial or intermediate professional jobs compared with 74% to 84% for the other fields of education. The larger share of public or charity sector jobs obtained by HSS and HLA graduates partly explains these pay differences (chart 22.04b). 1 Number of graduates in employment out of all graduates present in the job market. 2 In employment on a permanent contract, as a civil servant or a self-employed worker. Extract from the chapter "22. occupational integration of university graduates (Master's, DUT, LP)".